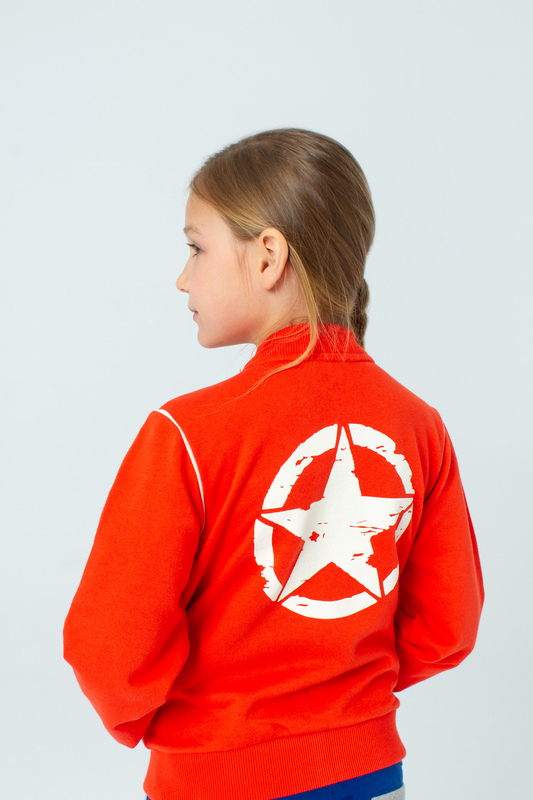 Bomber with zipper and kangaroo pockets at front. Contrast detail at armhole and “STAR” print at the back. Perfect to combine with pants or a skirt.